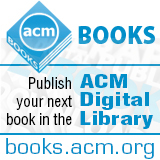 Welcome to the April 20, 2015 edition of ACM TechNews, providing timely information for IT professionals three times a week. A new study from researchers at the University of Wisconsin at Madison's Wisconsin Center for Education Research found men, and in particular white men, do not have the advantage many presume they have in science, technology, engineering, and math, at least in academia. The study examined data from the national Survey of Doctorate Recipients gathered from 1993 through 2010, focusing on the amount of time it took academics to obtain a tenure-track position and then earn tenure. The study found black and Latino Ph.D.s were more likely than their white counterparts to be hired promptly, while Asian doctoral recipients were significantly less likely to be hired. Meanwhile, black assistant professors faced a "persistent disadvantage" in receiving tenure. Women had an advantage in obtaining tenure-track positions, but faced some disadvantages in obtaining tenure. The women most likely to be disadvantaged were those with children under the age of six, who the researchers conclude face a "baby penalty" that does not apply to women with older or no children. The researchers say their study, "found that, compared with prior research, conditions for women and persons of color in the pathway to and through a tenure-track academic career may have slightly improved over the past 20 years." Syracuse University researchers have found hackers can speculate PINs by interpreting video of people tapping their smartphone screens even when the display is not visible. The researchers analyzed the video using software that relies on spatio-temporal dynamics to measure the distance from the fingers to the phone's screen, and then guess which characters are pressed. "Based on hand movement and the known geometry of the phone, we can see which keys are pressed," says Syracuse professor Vir Phoha. Although no instances of this type of hacking have been reported, it is very likely to be adopted by criminals who seek to steal sensitive private information, according to the researchers. They note the technology is simple to implement for anybody who knows basic programing. The software uses a combination of image-analysis and motion-tracking algorithms to fill in the gaps in the video. The software was able to determine the correct password 40 to 62 percent of the time on the first guess, with the accuracy improving to almost 82 percent after five guesses, and 94 percent after 10 guesses. In addition, the use of more than one video for each phone raised the odds of success even further. Researchers at the University of Utah and the University of California, Irvine recently received a $3-million U.S. Defense Advanced Research Projects Agency grant to develop software that can identify a new kind of vulnerability that is nearly impossible to find with conventional technology. The researchers aim to create an analyzer that can stop algorithmic attacks that target the set of rules or calculations a computer must follow to solve a problem. Algorithmic attacks do not rely on typical vulnerabilities that occur when programmers make mistakes while creating their programs. Instead, they can secretly monitor how an algorithm is running or track how much energy a computer is using to discover secret data the computer is processing. In addition, algorithmic attacks can disable a computer by forcing it to use too much memory or driving its central processing unit to overwork. "These algorithmic attacks are particularly devious because they exploit weaknesses in how resources like time and space are used in the algorithm," says Utah professor Suresh Venkatasubramanian. The researchers will develop software that can perform an audit of programs to detect algorithmic vulnerabilities in the code. The analyzer then will perform a mathematical simulation of the software to predict what will happen in the event of an attack. The nonprofit African-American Male Achievers Network (A-MAN) was founded in 1991 to provide year-round science, technology, engineering, and math (STEM)-related programs to students in K-12 using computer labs as well as hands-on activities with laser beams and robotics. The goal is to encourage underserved African-American and Latino students to enter STEM careers. Will Johnson is an A-MAN alumnus who is now a visual effects professional. When he was 15, he took part in a science fair where he helped construct a model train with reverse magnets that levitated. The nonprofit serves about 1,200 students in Los Angeles County and recently received a $30,000 grant from Edison International, which over the years has provided more than $218,000 toward A-MAN's STEM-related programs. A-MAN's STEM education currently comprises students who are 50 percent African-American, 49 percent Latino, and 1 percent Asian-American. In addition to an upcoming Virtual Reality Academy, A-MAN offers a Saturday Science Academy and an After School Academy. The nonprofit also partners with the U.S. Air Force and the National Society of Black Engineers in their STEM programs. Pennsylvania State University (PSU) researchers have found many video games can have meaningful entertainment experiences for players. They studied 512 participants' experiences with video games, and learned players not only enjoyed playing games, but also frequently appreciated them at a deeper, more meaningful level. Participants suggested story details in the game were critical to feelings of appreciation, indicating more meaningful games were associated with heightened feelings of insight or enrichment. "Our research suggests that contrary to stereotypes, games have the potential to be as meaningful to players as other, more esteemed forms of entertainment such as literature or cinema," says PSU professor Mary Beth Oliver. In addition, video games may provide players the opportunity to experience valuable situations and emotions that other forms of entertainment may not do as frequently, according to the researchers. The study suggests creating games with more interactive and in-depth story lines could be worth the investment for developers. "Games have grown from simple point-and-click twitch games to incredibly engrossing emotional experiences, and games now have the potential to give us the same sorts of feelings that great novels and music do," says West Virginia University professor Nick Bowman. Carlos III University of Madrid (UC3M) professor Esteban Moro was one of the organizers of the NetMob 2015 conference, which was held last week at the Massachusetts Institute of Technology's Media Lab. The conference dealt with the scientific analysis of mobile phone data and its potential economic and social applications. In an interview, Moro says mobile phones now contain a very broad array of sensors, which enable them to collect very detailed data. The available sensors include not just global-positioning systems and other means of detecting location, but accelerometers, which can detect finer movements. Moro says one of the most important pieces of data gathered from cell phones is movement data, especially on a mass scale. Moro says massive phone movement data sets can provide researchers with insight into how people are moving through a city, which can teach them about how public transportation is used and levels of employment. He notes in some developing countries, without access to other sources of such data, this can be very helpful. Moro says there have been challenges to using such large data sets, but as technology advances this is becoming much easier. One of the major issues facing researchers using cell-phone data is doing so while also maintaining the individual user's privacy. University of Toronto researchers say they have designed the first all-photonic quantum repeaters, which are protocols that ensure data can be carried reliably and securely across longer distances when using quantum cryptography. The all-photonic quantum repeaters can relay photons over long distances using photons only, without the requirements of matter-based quantum memories or an interface between matter and light. The researchers note the new repeaters also achieve higher quantum-communication rates, use optical elements whose proofs-of-principle have already been demonstrated, and function at room temperature. The all-photonic quantum repeaters utilize highly entangled quantum states, known as cluster states, which have the property of fault-tolerance to losses. The repeaters act like mini quantum computers, storing the entangled photons and relaying their signals through the fibers. "The original question was whether we could transmit polarization over long distances, but that's boring--then researchers asked, can we do something fancier?," says University of Toronto professor Hoi-Kwong Lo. "And it turns out we can do quantum teleportation." The researchers already have demonstrated beaming states of photons and atoms from one location to another. Cornell University researchers have developed an algorithm-based automotive system that analyzes a motorist's body language in context to what is happening outside the car to predict if the driver will turn, change lanes, or continue going straight. The system merges driver anticipation data with radar or cameras to locate other vehicles in order to warn the driver when an expected action could be dangerous. The system also uses global-positioning system information and street maps to issue an illegal turn message. Cornell professor Ashutosh Saxena and colleagues developed the system by recording videos of 10 drivers and videos of the road ahead for 1,180 miles of city and highway driving over two months. A computer with face detection and tracking software analyzed head movements and learned to associate them with turns and lane changes to enable the final system to predict actions the driver may take, achieving 77.4-percent accuracy at an average of 3.53 seconds in advance. The researchers say the system still needs refinement, because 6 percent of the time its face-tracking ability was confused by shadows of trees and other lighting variations or by drivers interacting with passengers. If drivers rely on short-term memory of traffic conditions and do not turn their heads to check, the system might rely solely on tracking eye movements, the researchers note. A company's workforce scattered across the globe could potentially work together to solve a problem on exactly the same piece of equipment at exactly the same time using new technology from the University of Essex. Scientists there already have used the first-of-its-kind virtual engineering laboratory to link up with colleagues in Mexico to test the technology. Students from Essex and Mexico collaborated on live science and engineering work using online mixed-reality environments. The technology uses a large screen to enhance the sense of reality and interactive avatars, and synchronizes the different realities so they all coordinate as one. The students worked together in the virtual environment but manipulated the equipment in the real environment. "In the future, this blending of virtual realities is going to increase in a very positive way," says Essex professor Vic Callaghan. "We have to just make sure we get the balance right." Scientists at Instituto Tecnologico de Leon could immediately see the effect of their actions on the equipment at Essex. "The beauty of this technology is that it opens up lots of possibilities of working together and teaching in mixed realities," says project leader and Ph.D. student Anasol Pena Rios. Yahoo Labs researchers in Sunnyvale, CA, and Barcelona, Spain, as well as from the University of Southern California's Information Sciences Institute, conducted a large-scale study of email habits and behaviors involving more than 2 million participants who sent 16 billion messages over several months. The researchers selected a random sub-sample of Yahoo Mail users worldwide who had at least five replies in each direction. The dataset included messages belonging only to users who voluntarily opted-in for such studies. The researchers monitored the age and identities of senders and recipients, subject lines, when the emails were sent, length, the number of attachments, and the devices from which the emails were checked or sent. The study found users replied faster to emails received during weekdays and working hours, and younger users generally sent faster, shorter replies. Men sent slightly faster and shorter replies than women, and replies sent from mobile devices were faster and shorter than from desktops; emails without attachments also typically received faster replies. Regarding synchronization of replying behavior within a thread, the researchers found users tended to become more similar, both in reply time and length, until the middle of a thread. The researchers hope the findings will help developers create better platforms for email interaction. Researchers at the University of Zurich have developed technology that enables drones to recover stable flight if they temporarily lose their global positioning system position information or to land autonomously if they run out of power. The team has equipped drones with a single camera and acceleration sensors, and their orientation system emulates the human visual system and sense of balance. The system works similarly to a tight-rope walker. "When you balance on a rope, you fixate on some static points in the environment and shift your weight accordingly to restore balance," says Zurich researcher Matthias Faessler. As soon as a failure situation is detected, the computer-vision software builds a three-dimensional model of the environment, grouping terrain beneath the drones into risky and safe landing sites. The drones will automatically detect and land on a flat, safe location if an emergency landing is required. All image processing and control runs on a smartphone processor onboard the drones, which renders the drone safe and capable of carrying out its mission without any communication or interaction with the operator. Moore's Law is turning 50 this year and the future of the axiom predicting the doubling of transistor density roughly every two years is being called into question. Five industry experts were asked for their opinions on Moore's Law at 50 and gave different answers. VLSI Research CEO G. Dan Hutcheson points out Moore's Law has helped drive innovations that have created $13 trillion in economic value and helped save about 33 gigawatts of power last year, and predicts the axiom will hold true for the time being. Mercury Research principal analyst Dean McCarron expects there to continue to be gains in computing power, but does not see them necessarily being accompanied by decreasing costs as predicted by Moore's Law. Real World Technologies founder David Kanter predicts Moore's Law will hold true for five to 10 more years, and says circuit design, system architecture, and software will become even more important. Tirias Research senior analyst Kevin Krewell expects different parts of the microchip market to move in different directions, focusing on specific gains such as energy efficiency in the client computing market. IC Insights senior analyst Rob Lineback agrees with Krewell, noting some parts of the semiconductor industry will continue to hew to Moore's Law, while others will leave it behind.